How have Bingham Rents performed over the last 10 years? | Belvoir! Unlike house prices, which can carry on rising irrespective of what is happening to wages, rents appear to flat-line when wages rise at less than inflation. We don’t tend to see rents rise until wages are increasing at a faster rate than inflation. This means that in areas where there is a shortage of supply versus demand, we see rents rise for a few quarters, then they tend to flat-line again, even if demand remains higher than supply as tenants simply cannot keep paying more rent than their earnings. In the Bingham area, after the start of the recession we saw more properties come onto the market to let as property owners could not sell but the demand remained high. 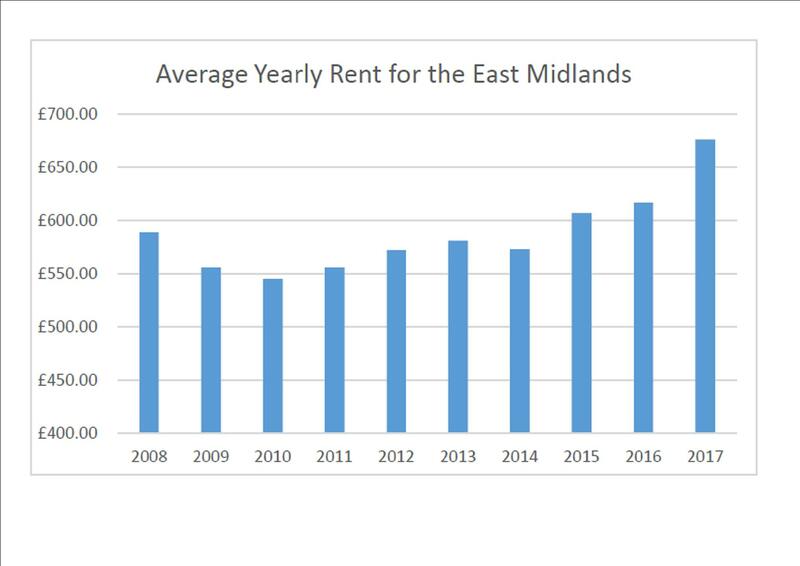 This did mean rents dipped slightly then flat lined until 2014 and did not see a growth back to pre 2007 levels until 2015. We are now seeing higher rents achieved each time a property is coming back onto the market to be re-let. For example in 2014 a 3 bed semi detached property in good order with a garage would achieve around £695 pcm and in today's market we would expect to easily achieve £795 pcm - a 14% increase. If you have a property let out and you would like to discuss the rental value or are considering an investment property please feel free to give me a call or pop into our office on the Market Place in Bingham.